Hospice/palliative care emphasizes comfort, counseling as well as physical and spiritual support for patients with life-threatening diseases or injuries and their families. Treatment is provided to relieve pain and suffering rather than providing a cure. 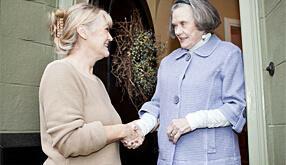 Hospice care can be provided at home by health professionals, in nursing facilities or acute care settings. For more information, visit the Palliative Care page of the BC Government website or the In-home Palliative Nursing Care page of Evergreen Vancouver.